What wasn’t being done in bigger schools that should be? What did students complain about? I met Robbie for the first time at a café where we had arranged to meet for a French trial. I was immediately struck to see that everything in her was literally shaking: her hands, her voice. Robbie was terrified to speak French in front of me after so many years of having put French lessons aside. She had yet been dreaming of resuming lessons for a while…always postponing the idea. Dear reader, I finally cracked THE secret for not making a single mistake in French!! … QUIT studying! Do NOT speak and do not to write any more French! Back to classroom situation: I found this great article that should finish to convince you that mistakes are useful: “Teaching Students to Embrace Mistakes”. My tip for you: take every mistake as an opportunity to assess/identify the points you need to work on. I know how much some of you are allergic to the “G” word, but please bear with me! I’m a big believer in the power of grammar and dedicated an article to it; please check it out here! I think it is important to get a (somewhat) slow start but have solid grammar bases to build on rather than wanting to learn faster and make plenty of mistakes that have become such a habit that they will be very difficult to fix/change at a later stage of learning French. 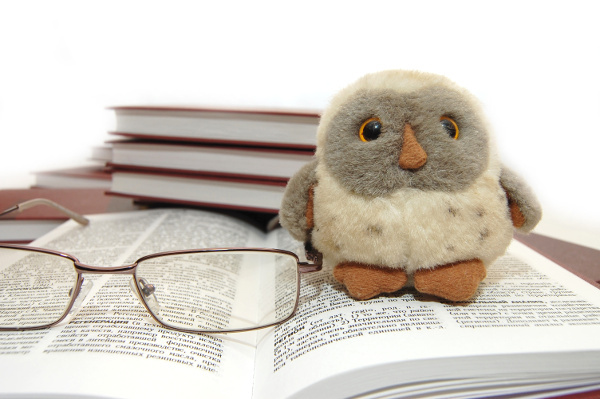 My tip for you: the main objective of learning a language is communication. Try to get your message across and use your teacher’s feedback to see how you can improve it with better use of grammar. A good teacher should know how to select/filter and point the mistakes that are the most relevant for your level, without it feeling discouraging for you. There isn’t just ONE way of learning French. Instead, I encourage you to combine different ways of learning to create the most relevant experience according to what your objectives are. 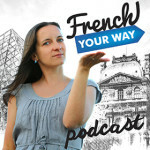 That’s why I created French Your Way; the name comes from my belief that learning needs to be tailored to each of you. That to me is smart learning! Maree doesn’t know any French, but will be travelling to Paris for her upcoming holiday. Writing is not a priority. Maree may want to enrol in a Travel French course. 2. She will need to develop basic oral skills. She could use a Travel phrasebook or CD to learn a handful of useful sentences and brush them by herself too. 3. As for reading, she could learn to understand/recognize some important written signs and instructions (Reception/information desk, emergency exit, etc) → surfing on French websites for hotel/ train/museum etc can help her make her way just with the use of keywords. 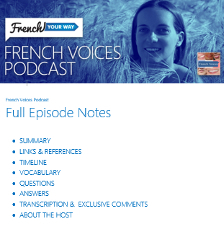 Strengthening oral comprehension skills (the most difficult skill to master) →Paul can listen to French Voices Podcast, to the news, watch French movies, etc. Reading (French novels, web articles) in French will help with passive absorption and reinforcement of grammar structures. It will also add to his vocabulary. 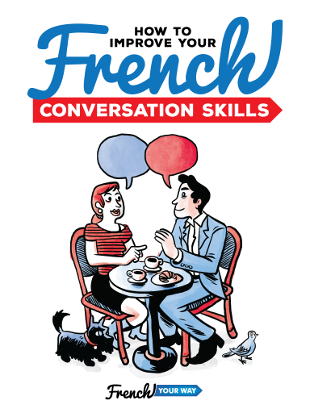 A weekly session with a private French teacher will give him the opportunity to practice speaking as well as to identify what still needs reinforcement. Writing essays, poems etc. will allow Paul to master good writing techniques. It will also force him to implement/display his knowledge of the language: use a wide range of vocabulary, pay attention to the structure of sentences, etc. He can have his texts corrected by the teacher, which is an excellent way to assess his strengths and weaknesses too. Also check out my Essay Proofreading Checklist! My tip for you: work out what your objectives are and which skills are relevant/a priority for you: reading, writing, speaking, listening? Design your own learning experience to meet your objectives! It’s important to feel comfortable with your teacher or tutor’s teaching style AND personality. Having a good relationship makes learning easier (as well as more pleasant) because your teacher will get to know you and to understand how you learn. Your job as a student is to be curious, open and not afraid of making mistakes. I will finish with Robbie’s story (mentioned at the beginning of this article): After Robbie took a huge leap in putting her self-consciousness aside, we brushed on her French together, week after week. We soon developed a great relationship, based on mutual respect. We became friends and Robbie was an important guest at our wedding a few years later! Do you have anything to add or share? Feel free to do so in the comment section below!